Do you ship to other countries or to parts of the United States outside the continental U.S. -- the lower 48 states south of Canada and north of Mexico? I've heard good things about you from friends back home in Florida. I'll be living in Hawaii for the next 18 months and, after that, moving to Asia. I want to order some plants now. If I'm satisfied, I'd like to be able to order again when I move outside the U.S. Can you help me? The short answer is yes. Yet there is always a long answer. To begin with, we do ship to distant parts of the U.S., including Alaska, Hawaii, territories such as Guam and commonwealths including Puerto Rico. Within the U.S., only Guam and Puerto Rico require phytosanitary permits. We feel that it is only fair to warn you that it can be extremely expensive to ship to foreign countries. Distance is a factor; the price of shipping to locations outside the U.S. is many times higher than fees for domestic shipping and requires costly U.S. phytosanitary certificates. Also, meeting other countries' import regulations, including tariffs and duties for importation, makes international shipping difficult. Furthermore, although the travel part of the international shipping process isn't slow, handling at the receiving end in your country may make the process take longer and increase risk to plant survival in a box. We use a bonded plant transportation firm for transport and customs clearance. In addition to obtaining a U.S. phytosanitary certificate approving export, an additional permit is required when entering a foreign country. Also, foreign importers almost always need to hire a freight broker due to the complexity of the process and the need for a costly quarantine period. It may take months from order to delivery, which means that intermediaries need to tend to the plants before customers are free to take them home. 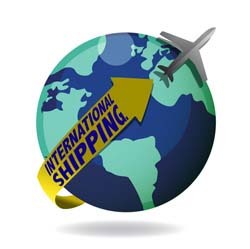 Whether you are ordering from a distant American location or from a foreign country, there are good reasons behind the steps of this complicated shipping process. These include validating that plants are free of hazards including invasive insects and diseases. First, you submit a list of the plants you want and the exact destination where they need to arrive. Second, we draft an estimate of costs and a shipping schedule. Third, you pay a 50 percent, nonrefundable deposit before we proceed further. Fourth, when we receive the deposit, we begin planning the shipment process and keep you informed about the schedule and any steps you need to take. Finally, you pay us the balance of funds for the order before we ship. FBTS will not break any export shipping rules, so please don't ask us to do so. Ultimately, you need to ask yourself whether importation will be worth the time and expense. If the answer is yes, then we are here to help.